Now offering the latest FDA-approved treatment for submental fat, also known as a double chin, Kybella™. 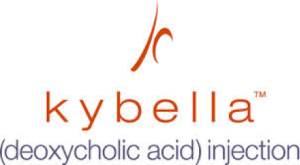 Kybella™ is a synthetic version of deoxycholic acid, a naturally occurring molecule produced in the liver to break down fat. It targets the fat cells and destroys them, so that fat cannot reaccumulate. In April 2015, it won FDA approval for being the first nonsurgical treatment for moderate-to-severe fat below the chin, known as submental fat. 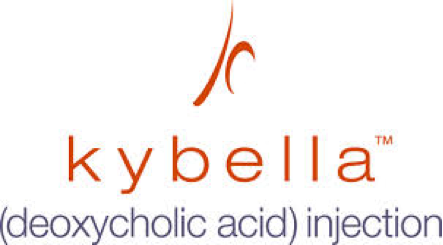 Kybella™ is administered via injection using small needles. The skin is anesthetized with a numbing cream beforehand. On average, 40 injections are placed and two to five sessions may be needed to achieve the desired outcome. Each treatment session typically lasts 15-20 minutes and patients find it very bearable, with only minimal pain from the injections. Sessions are spaced one month apart. Kybella™ works best in patients who have submental fullness, or double chin, but not when there is a lot of redundant skin or very prominent muscular bands (platysmal bands). Kybella™ is an alternative to liposuction in the neck with less downtime. The downtime with Kybella™ is minimal compared with surgery or liposuction. The most common side effects of Kybella include swelling, bruising, pain, numbness, redness and areas of hardness in the treatment area. You may return to work after 24 hours. You can expect to see results after several weeks. In studies, over 65% of patients reports improvement in the appearance of the double chin.